This self-taught septuagenarian teaches C language to B.Tech and M.C.A students at his residence. Besides computer, his other areas of interest include classical music, instrumental music and HAM radio. Krishnan Namboothiris father was the noted musician Neelakantan Namboothirippad of Kanjoor Mana, Chunangad, Ottappalam. His father died he was 3. Even at that age he displayed his ability to read and write untaught. Later he learned carnatic music under Mundayi Rama Bhagavathar. During the 15 years of training, he read hundreds of books on music. In the meantime, he got interested in Kathakali music. This led to his joining the Kalamandalam. During 1980s his interest turned to computers. In 1985 he purchased the British-made Spectrum computer and started experimenting with software. He thus gained expertise in C language programming. His wife Arya Antharjanam is the daughter of E.M.S.Namboothirippads sister. He has two daughters: Sudha (Heart Hospital, Thrissur) and Mini (Dhananlakshmi Bank, Thrissur). .....There is another connection of the tsunami with Carnatic music. The coastal areas of Kerala were more affected than other areas in the 1941 tsunami. Among the villages that were washed away in Central Kerala was a small village called Mundayi. Yes, it was the native place of Palakkad Rama Bhagavatar (1888-1957), the eminent vocalist. But Rama Bhagavatar had already migrated to Palakkad town years before the 1941 tsunami. His house in Mundayi was washed away. Born in 1912 to Anandambal and T.R. Sesha Bhagavatar at Tiruvilwamalai, Mani Iyer, at the age of nine, started formal lessons on the mridangam with Chaatapuram Subbaiyer and was also taught by his father to play for Harikatha pieces. 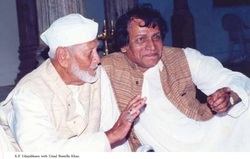 Soon after his debut performance for Mukke Sivaramakrishna Bhagavatar, he started accompanying stalwarts such as Palghat Rama Bhagavatar, Ennappadam Venkatrama Bhagavatar and Chembai Vaidyanatha Bhagavatar. .................The rich tradition of music at Kalpathy bloomed during the time of Mundai Ramabhagavathar, later known as Kalpathy Ramabhagavathar. He was born on June 5, 1887, in Mundamukha village in Shoranur to Kasthurirang Ayyar, a village revenue official (grama adhikari), and Alamelumangai. His initial tutelage in music was under his brother Venkitakrishan Bhagavathar, who was an exponent of Kathakali padams. He used to sing along with his brother for Kathakali performances from the age of eight. This strengthened his natural aptitude for Carnatic music, instilling the nuances, intricacies and complexities of Carnatic music in him. He later turned to Carnatic music. He started learning from Vadakkenchery Ramabhagavathar along with his brother, which provided him a firm base. Later, he started training under Thondukulam Anantharama Bhagavathar in ‘Gurukulasampradaya'. He used to accompany his guru in Harikadha Kalakshepas. His rich and sonorous voice held the audience in thrall. 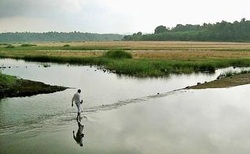 Anantharama Bhagavathar took Ramabhagavathar to Kumbhakonam for training under the doyen, Umayalpuram Swaminath Ayyar, direct disciple of Saint Thyagaraja. There he assiduously learned various kruthis of different ‘vaggeyakaras' (composers) in various languages and the nuances of ragas and developed a distinct ‘bani' of ragalapana and manodharmaswaraprasthara. Ramabhagavathar settled at old Kalpathy in 1910and lived there his till his death in 1957. 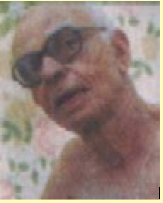 Kalpathy Ramabhagavathar was among the many famous musicians who lived in the Agraharams of Palakkad. ......................The music of Chembai Vaidyanatha Bhagavatar was as straightforward as the man himself. His best asset was his voice which, despite playing truant a couple of times during his career, sustained him till the end. Were there live classical concerts? All the temple festivals in Trichur had regular concerts which used to last for more than six hours. Concerts used to start as late as nine at night and go beyond 3 am. Whenever a festival was held for a week and beyond, vidwans used to stay all the ten days and used to listen to each other's concert. Nadaswaram concerts used to be held overnight. And people used to sit through the whole night. Semmangudi (Srinivasier) used to say that raga alapana should be learnt from nadaswaram concerts. Senior vidwans used to listen to nadaswaram performances. Off the concert dais, we heard musicians sing in their own mood. Instrumentalists like Karaikudi Sambasiva Iyer and Budalur Krishnamurthy Sastrigal could sing very well. I have even heard the concerts of veteran vocalist Palghat Rama Bhagavathar in my boyhood. When the Bharatiya Music and Arts Society was founded in Bombay in 1953, I requested Chembai Vaidyanatha Bhagavatar to give the inaugural concert. But Chembai replied that it would be more appropriate to give the honour to Palakkad Rama Bhagavatar, who was senior to him. We took his advice; but were glad Chembai also gave a concert later. 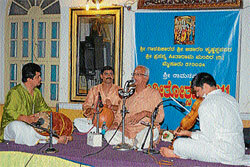 .......Sri Palghat Rama Bhagavatar's music performances used to be held frequently in Music Sabhas. Many audiences, who were interested in listening to the traditional music, used to enjoy his divine music. Rama Bhagavatar would sing according to the old tradition, without singing too many songs, just four or five Kritis from the compositions of the musical trinity, Thyagaraja Swamy, Muthuswamy Deekshitar and Shyama Sastry. He would give more importance to Neraval and Kalpana Swarams. The concert commences with a Varnam. After singing the Kritis he would sing Ragam Tanam Pallavi. For the Raga elaboration, he would chose one of Bhairavi, Thodi, Kalyani, Sankarabharanam, Saveri or Dhanyasi and elaborates it for a long time. After singing weighty (Ghanam) Tanam and the Pallavi set either to Adi Talam or Rupaka Talam or Triputa Talam he would give the Mridangist a chance to show his expertise. After that he would sing a Slokam, a Padam, a Javali, a Tillana and a Thiruppuzal and conclude the concert with Mangalam. By then it would be more than four-hour performance. Bhagavatar was very traditional. He would not drink coffee or soda in the middle of the concert. His was a Tri-Sthayee (three octaves) Sareeram (voice). The audiences would sit spellbound when he sings Sarvalaghu Swarams.........Sri Dwaram Venkataswamy Naidu used to say "if you want me to play accompaniment, put me for Palghat Rama Bhagavatar". ........Semmangudi once mentioned to me that whenever he or Ariyakkudi were approached for dates, they would want to assure that Mani Iyer was free on those days. Such was their confidence in his ability to enrich their concerts! He would also accompany any artist, including the lesser celebrities, and "guild the lily". ...when Palakkad Rama Bhagavatar, an eminent musician of his time, heard him sing for the first time. Rama Bhagavatar's reaction to the experience has been recorded. According to Ellarvi, Chembai's biographer, he said: "I can't praise the quality of Vaidyanatha Bhagavatar's voice enough. I have not heard a voice like this before. 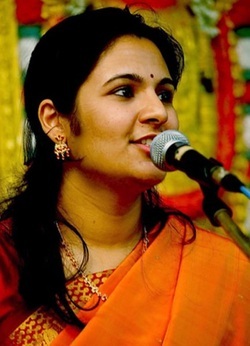 I have no doubt that, in the years to come, this voice is going to shake up the Carnatic music world." The Young Men’s Indian Association was the brainchild of Annie Besant, the eminent suffragette, Theosophist and champion of Indian independence. Dr Besant having made Madras her home felt that the city lacked a place where young men of the country could develop their bodies and minds as befitting the future citizens of a country that would one day be free. The YMIA was thus formed on 17th February 1914. Its headquarters came up at 66, Armenian Street, Madras with C Jinarajadasa, the noted Theosophist and writer laying the foundation stone, in May 1914. Rao Saheb G Subbiah Chettiar, Hon. Magistrate and Auditor, Madras Customs managed the construction. By the end of 1915, the buildings were ready, comprising a gymnasium, a reading room, hostel facilities for outstation students, a canteen and an oratory. The last named, was an impressive structure with its dome rising to the full height of the building. It had a wooden stage for performances. Audiences were seated on chairs in the ground floor and squatted on a beautiful wooden balcony on the first floor. This oratory was named Gokhale Hall after Gopalakrishna Gokhale, patriot and founder of the Servants of India Society. From the very beginning, Gokhale Hall became the home of Carnatic Music in George Town, the old quarter of Madras city. Kanchipuram Naina Pillai had sung here with his full bench, comprising nine accompanists. Each man in the troupe was a stalwart and any round of swara singing would take ten minutes to complete given that each demanded a solo performance. In 1918, the powerful trio of violinist Malaikottai Govindasami Pillai and percussionists Kumbhakonam Azhaginambi Pillai and Pudukottai Dakshinamurthy Pillai fielded a protégé of theirs at this location. That was the first time residents of Madras heard Chembai Vaidyanatha Bhagavatar and he never looked back after that. All the great names in Carnatic Music performed here. There is a review of a DK Pattammal concert in 1934 at this venue which rues the unruly behaviour of the audience who were unhappy with the percussionist. 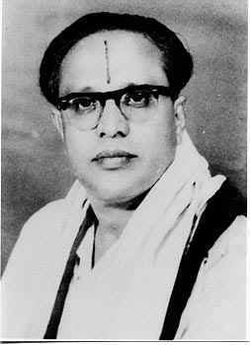 Musiri Subramania Iyer was a regular performer here and audiences would weep openly when he would sing songs such as “Theyilai Tottathile”. Once the crowd for a Semmangudi concert here was so immense that the musician was locked out of the hall by the watchman who refused to believe that he was the performer. Whenever the maverick but brilliant singer Maharajapuram Viswanatha Iyer would sing here, a black board would be placed outside the Hall. Once the musician had warmed up and was performing well, a message would be scrawled on the board reading: Maharajapuram in full form now. This would be the signal for those waiting outside to purchase tickets and rush in. The Indian Fine Arts Society founded in 1932 held its programmes here. That year, its founder CY Anjanelu Chetty organised a performance by a relatively less known woman singer from Madurai at this venue. MS Subbulakshmi went on to become the brightest star on the Carnatic firmament thereafter. The Hall witnessed heated moments as well. It was at a Chembai concert here that T Chowdiah threatened to walk out if he had to switch places with the left handed Palani Subramania Pillai. Chembai had to convince Chowdiah to give up such prejudices. There were sad moments also, such as the occasion in 1931 when a stroke afflicted Malaikottai Govindasami Pillai had to be lifted onto the platform to accompany Palghat Rama Bhagavatar. Everyone including the singer paid their homage in tears to Pillai. It was the last time he performed on stage. Harikatha performances were very popular in Gokhale Hall. The tradition of utilising Tyagaraja’s songs to liven up Harikatha performances was given a boost by Mangudi Chidambara Bhagavatar at this venue on 23rd July 1932 when he performed over 300 songs of Tyagaraja while discoursing on the Ramayana. The title of Mahakathaka Kantirava was bestowed on him by Sir CP Ramaswami Iyer on the occasion. It was here that the Indian Fine Arts Society conferred the title of Harikatha Prasanga Marga Darshini on C Saraswathi Bai on 24th December 1936, in an early instance of a woman artiste being awarded and recognised. In its heyday Gokhale Hall was booked for music performances almost throughout the year. However all good things come to an end and with the gradual abandoning of George Town as a residential area, music too faded away from Gokhale Hall. Mylapore and T Nagar began witnessing a proliferation of Sabhas. 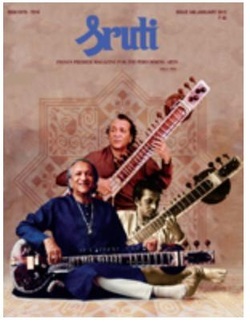 Patrons did not have to travel to George Town for music and over time Gokhale Hall as a venue was largely forgotten. The Founders Day of the YMIA witnessed dance performances at the venue till the passing of Rukmini Devi Arundale in the 1980s. With her death this too was given up. 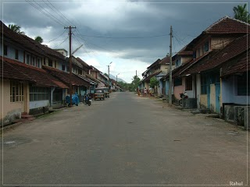 In 2001 thanks to a Heritage Walk organised by the founders of www.sangeetham.com and Charsur Digital Workstation, interest in the Hall was revived. A concert by Sanjay Subrahmanyan was organised in 2002 to whet public interest. The accompanists were MS Anantharaman and Vellore Ramabhadran, artistes who had performed at this venue in its heyday. The concert was a success and the superb acoustics of the Hall explained why it was such a popular venue in earlier days. Sadly the momentum was not kept up and the YMIA decided to have the building demolished to make way for a more up-to-date venue. The structure is now locked and out of bounds for visitors pending sanction for demolition. When it goes it will carry away many memories of the freedom struggle, the world of classical music, cinema and theatre. This is a small tribute to a once historic venue.